Since launching in 2016 Royal Stacks has gone from strength the strength, finding new ways to interact with its cult following and deliver the best possible experience. The latest development, to be launched on Thursday 2 November, is a food truck with built-in augmented reality that takes the previously launched iPhone app to the next level, allowing people to interact with the truck in a way they have not done before. Burger fans are already familiar with the Royal Stacks burger-stacking game for iPhone. Now this game has been incorporated into a more extensive app where customers can directly order their meal before their phone turns into a buzzer to alert them their meal is ready. Players will earn points to score freebies – however, the most exciting development is unveiled when the Royal Stacks food truck is viewed through the phone camera and the augmented reality kicks in. The Royal Stacks food truck will officially launch on Thursday 2 November at Whitehart Bar in Melbourne CBD. Patrons can download the app via the iTunes app store from 1 November to enjoy delicious burgers with a side of augmented reality. The food truck will be at Whitehart Bar every day until Sunday 5 November. 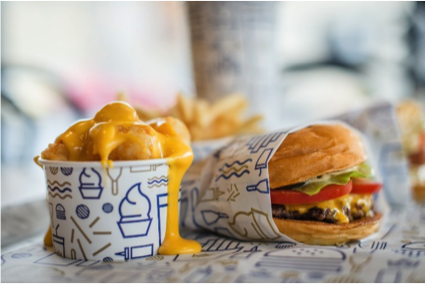 More food truck locations will be announced shortly and Royal Stacks fan will have the chance to devour some of their favourite treats, including The King, cheesymite gems, the legendary mac and cheese croquette and a range of signature shakes.